4 Rivers Smokehouse in Florida and Georgia is a sophisticated Texas-style smokehouse that is re-defining the art of smoking one brisket at a time. 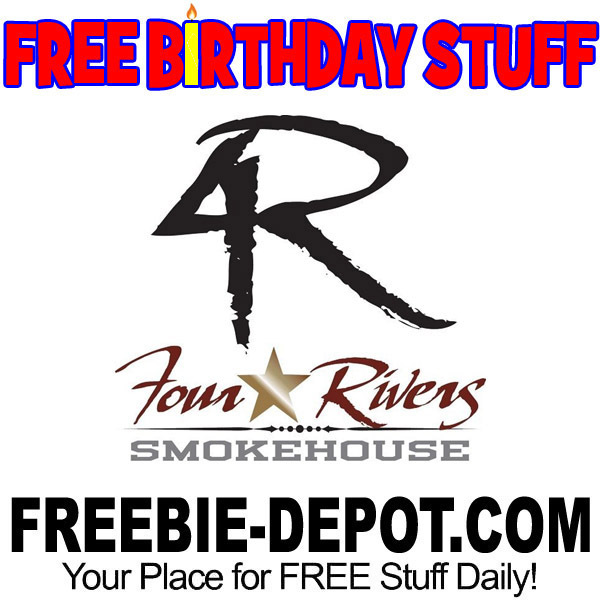 If you sign up for their Pitmaster Loyalty Club, you will get FREE Treat for your Birthday. You will receive an email on the 1st of the month of your birthday and are able to redeem it at any time during your Birthday month. Birthday Treats include cupcakes, bombes, slices of cake, bar, brownie, cookie or scoop of ice cream from the Sweet Shop. Love love love their ribs and “moist” brisket!! !